You will Watch One Piece Episode 487 English Dubbed online for free episodes with HQ / high quality. Stream anime One Piece Season 14 Episode 29 The Insatiable Akainu! Lava Fists Pummel Luffy! 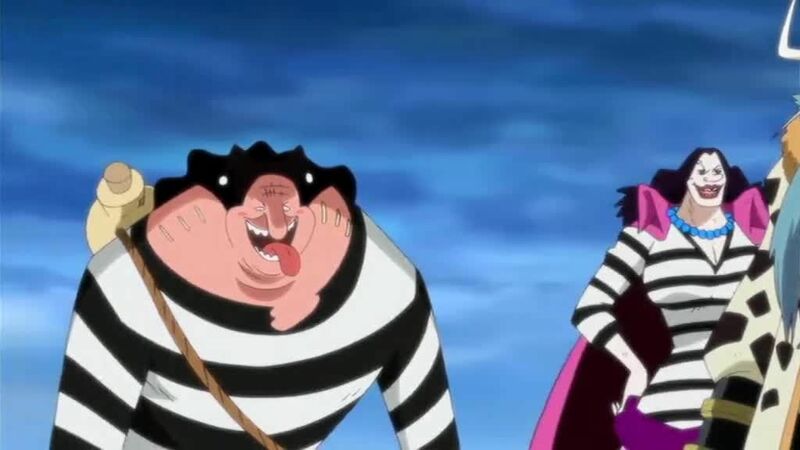 Blackbeard expresses his desire to sink Marineford into the ocean after destroying the fortress, but Sengoku attacks him, saying that the island is a symbol of justice in the world. The Marines continue to pursue and kill the retreating Whitebeard Pirates, and Coby begins hearing the combatants’ voices in his head. Akainu defeats Inazuma and Iva, then chases down Jimbei and punches through his chest, severely injuring both him and Luffy. The two fall to the ice below, but Crocodile attacks Akainu and launches Luffy into the air, where Buggy catches him. Crocodile and Whitebeard’s division commanders fight Akainu to cover Luffy’s escape. Just as Buggy desperately tries to escape, Trafalgar Law arrives in his submarine. Law says that Luffy will become his enemy one day, but as that is a worthwhile relationship, he will give him medical treatment.